Since 1979 Hunnicutt’s has provided individualized coating solutions tailored to meet or exceed our clients’ expectations. Hunnicutt’s, Inc. is a privately owned and managed Commercial and Industrial Coatings Contractor that integrates advanced coating products with specialty application services to improve, protect, and enhance both public & private infrastructure. Operating from offices located in Bellingham Washington we provide Industrial Coating Solutions to contractors and owners in the Commercial, Public, Industrial, and Marine markets covering the Pacific Northwest including Washington, Oregon, California, and beyond. 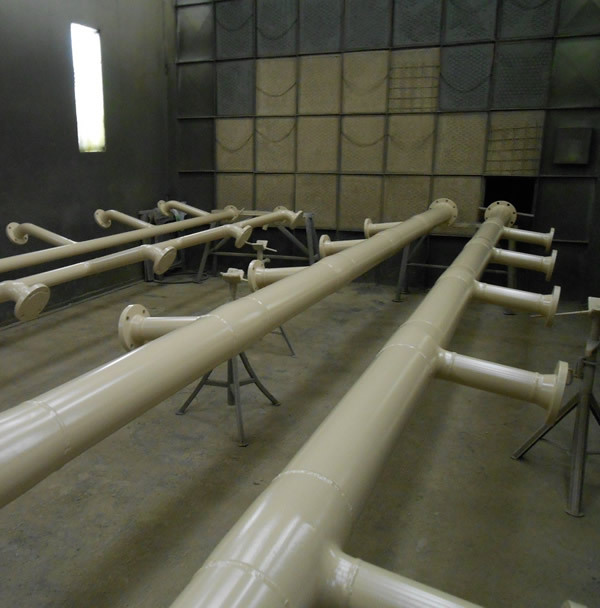 Hunnicutt’s, Inc. specializes in applying Commercial and Industrial Coatings on pipelines, tanks, concrete structures, pipe, structural steel, secondary containments, and mechanical structures, with an emphasis on water/wastewater treatment facilities. 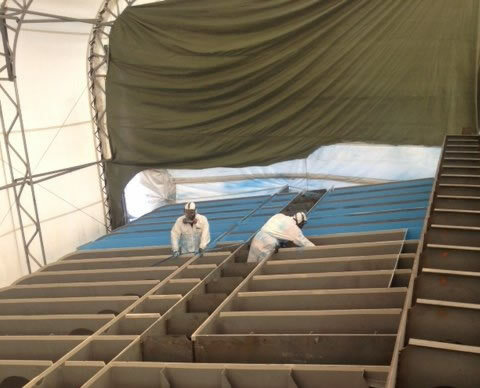 Our services include Sandblasting (shop and portable), Waterproofing, and Industrial Coatings. Since 1979 our experience in each market we serve, and our understanding of each project’s unique requirements has enabled our teams to safely undertake complex and challenging Coating, Repair and Refurbishment projects while staying on budget and ahead of schedule. Hunnicutt’s, Inc. is owned and operated by Steven P. Hunnicutt, and employs an average of 18 full time people, including 2 estimator/project managers, 4 foreman, 11 painters, and 1 office manager. We also employ temporary and part time workers seasonally or on a temp-to-hire basis as our workload requires. Dedicated to Safety, Quality, Reliability, Integrity, and a reputation for outstanding customer service, Hunnicutt’s, Inc. offers experience and expertise in surface preparation, industrial coating, lead abatement, sandblasting, corrosion control, and tank lining. Providing on-time, high-quality work, with a commitment to the highest standards of safety and regulatory compliance, Hunnicutt’s, Inc. has successfully completed corrosion control projects across a wide spectrum of industrial environments for customers in the marine, petroleum, chemical, water and wastewater treatment market segments. Hunnicutt’s, Inc. believes that the keys to success in support of our clients are; being responsive to the clients’ needs, flexibility and timely response, efficiency and attention to detail, with emphasis on employee safety and quality workmanship. Our mission is to operate and be recognized as Washington’s premier Commercial and Industrial Coating Contractor. Growth of our company for years to come.